Courtesy of REALTY ONE GROUP TRILOGY, JENNIFER BATES. Check out this beautiful home on a cul-de-sac with gorgeous views! Pool home nestled on mountain side with lots of privacy. Large yard and room for RV parking. Build a second garage if you want. Home is recently remodeled with new kitchen, floors, jetted tub, repainted inside and out. Aluminum low maintenance patio covers. Upgraded attic insulation.Central Vacuum System Through out home. Huge room upstairs! Must see to appreciate. Property is sold as is. Beautiful Home! Get it before it’s too late! Please, send me more information on this property: MLS# EV19084032 – $439,900 – 5461 Villela Avenue, Jurupa Valley, CA 92509. 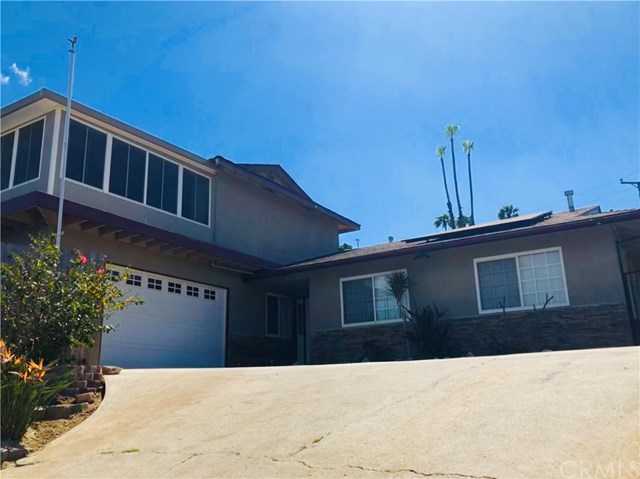 I would like to schedule a private showing for this property: MLS# EV19084032 – $439,900 – 5461 Villela Avenue, Jurupa Valley, CA 92509.